Our roof is completely finished! We would love to get this loan paid off as soon as possible. We're just over 40% of the way there. As you prepare your year-end giving, please consider giving to the building fund in addition to your regular giving. Thank you! Only a few minor things remain to be completed on the roof before it is completely finished. We're just over a third of the way to our goal! Thank you for your generosity; please continue to prayerfully consider how you might give toward the remaining two thirds. Old HVAC units are being traded out for new ones today! Work on the roof continues! We ask that you continue to pray for no complications as the old HVAC units are traded out tomorrow for the new ones, and prayerfully consider how you might participate in giving toward the cost of our new roof. The roofers have been working for a week an a half now! 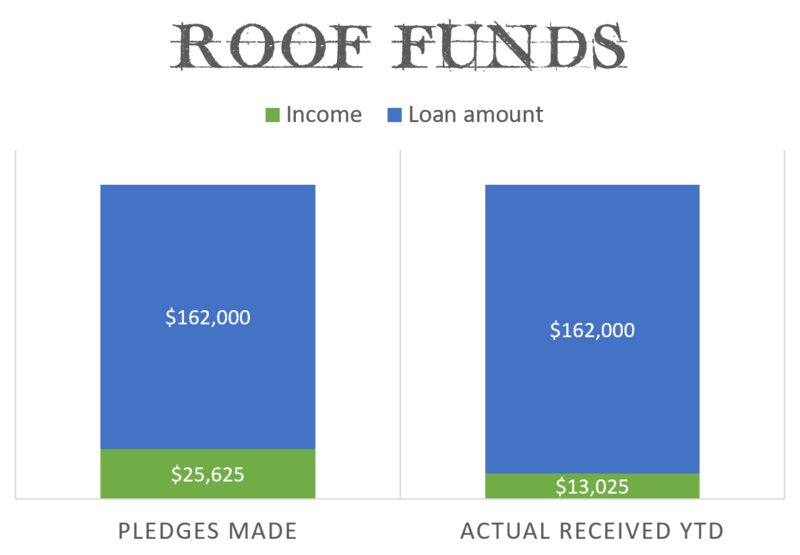 We ask that you continue to pray as the work continues that they don’t run into any major issues (the old roof has been harder to pull off than they anticipated) and prayerfully consider how you might participate in giving toward the cost of our new roof. At the end of February, we informed the body of the need to replace the flat areas of our roof. Our 27-year-old roof has held up far beyond what it was expected to. We are grateful for the men who have invested their time and skills in taking care of our roof, but it has gotten to the point where the material has degraded and roof patching is no longer effective. After reviewing three bids, we accepted a bid for the replacement of the roof. We recently shared with you that we were waiting on the City’s approval of plans from the roofing company to ensure that individual screen walls to protect our HVAC units (Heating, Ventilation, and Air Conditioning) would be able to withstand the wind. Otherwise, they would need to put up one large screen wall around the whole roof, which would cost us $30-$40,000 more. Thankfully, the City approved the roofers’ plans for the individual walls, issued the permit and the construction has begun. Note: due to the construction, for the next couple of weeks (including Sunday mornings) during construction, the back-double doors by the cafe and single door by the bathrooms will not be open to enter or exit through. 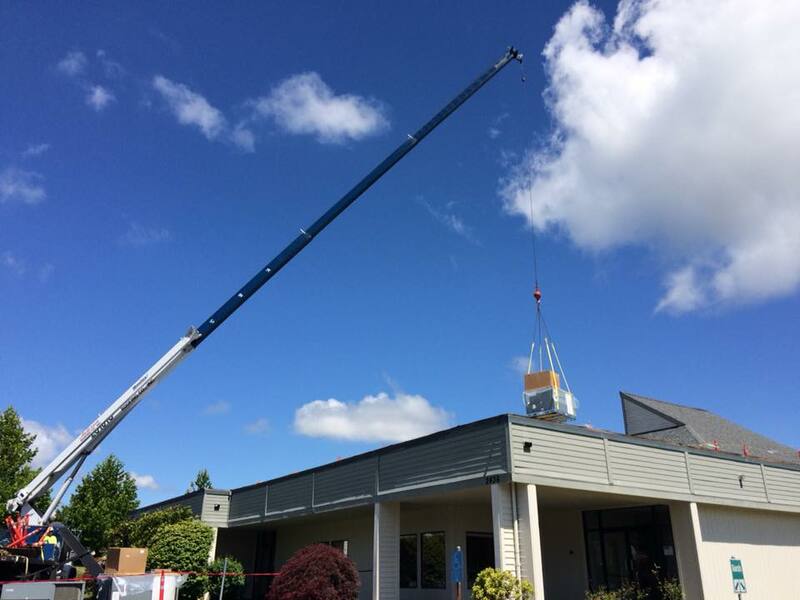 In addition to the roof replacement, we are replacing 5 of our 7 HVAC units that sit on the roof. Over the past few years, we replaced two of the HVAC units due to mechanical failure. Our units are 27 years old, and we feel it’s logical to replace the rest of the units while the roof work is being done. We have been putting aside funds toward this project and continue to put aside money toward future building projects. 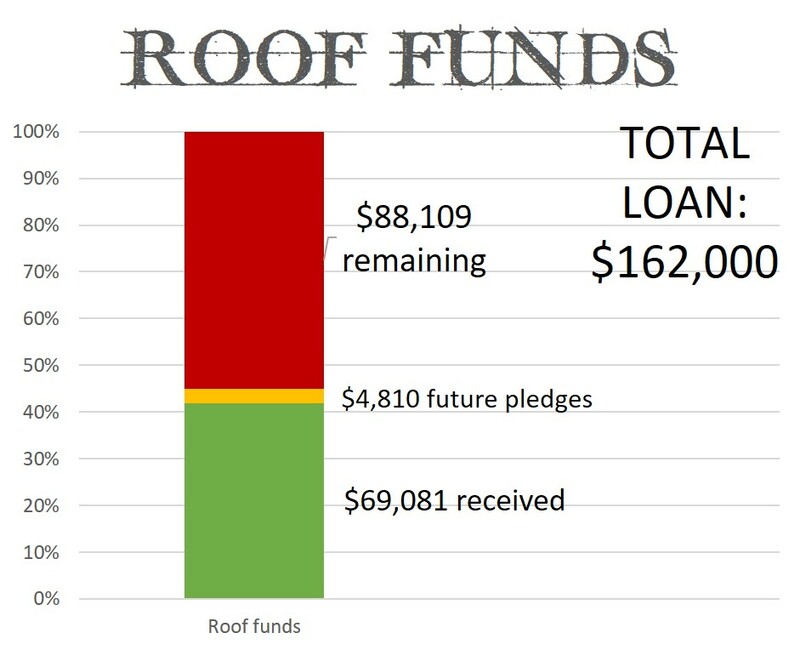 At this point, there is about $80,000 saved that is dedicated to replacing the roof. The total amount we need for the roof and the HVAC units is $242,000, which has us needing to raise about $162,000. We have been working with our bank as well as one other lender on the financing. We will be appealing to the Harvest Family to pledge support to raise the funds that are still needed. That support essentially would come in three forms: prayer support, one-time financial gifts, and monthly pledges over a period of time. In the coming weeks, we will provide further information about these support opportunities. Please be in prayer for the completion of this project as we continue to seek to minister to our community and the world. Thank you all for praying! The city approved our permit for the individual screen walls. This saves us about $40,000! Our roofing contractor delivered materials and will start work tomorrow. Please continue praying for the approval of the permit. Someone from the City came in a couple weeks ago and expressed their concern for the longevity of the HVAC units without the screen wall. We are hoping that the alternate solution is approved for safety and longevity! Permit process stalled, City hesitant to approve the permit without replacing the screen wall. Roofers are meeting with the City this week to discuss alternate options for individual screen walls. This is a $40,000 difference. We are trusting that God will provide the finances needed, no matter the outcome. Work on the roof and HVAC units is projected to begin mid-May. The elders are working on financing. We are waiting on permits from the city. We paid an $18,726 deposit (half the total cost) on the HVAC (Heating, Ventilation, and Air Conditioning) units. Contracts have been signed by the elders with both Anderson Roofing and NW Solutions Heating and Air for a new roof and new HVAC units. 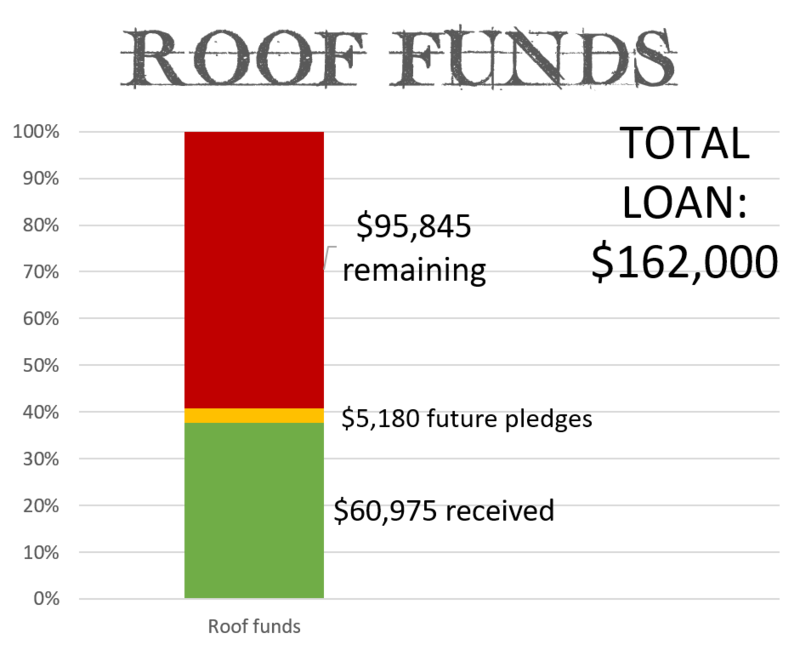 Bill Lovell has been working hard to research various roofing companies and get bids and ideas from them about the best way to go about replacing our roof. In our annual budget meeting, the elders announced that it has become absolutely necessary to replace our 27-year-old roof! The group of guys we call "The Incredibles" around here have faithfully maintained the roof and it has held up much longer than anticipated. The time has come to replace it!